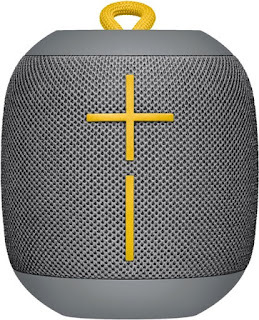 Today only, while supplies last, you can score this Ultimate Ears - WONDERBOOM Portable Bluetooth Speaker - Stone Gray for ONLY $49.99 (Retail $99.99)! Enhance your on-the-go audio experience with this Ultimate Ears Wonderboom Bluetooth speaker, which is ideal for outdoor use. This speaker, which pairs wirelessly with a range of smart devices, plays music for up to 10 hours at a time. Use this waterproof Ultimate Ears Wonderboom Bluetooth speaker, which floats, in the pool or on the beach.